s an owner of Scottish Terriers, Joe Larkins, former Channel 3 News Anchor, and purveyor of video production company Lead Dog Video, wanted to re-image his brand with a new logo. 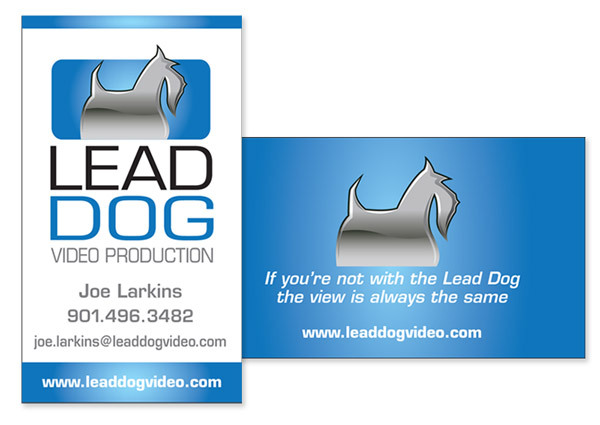 So Whippet Creative whipped up a new logo with an updated Scottie dog featuring a new high-tech look befitting the state-of-the-art video work produced by his company. We also updated his website, business cards and stationery with the new logo to round out the branding. Word from Larkins has it that the new logo is "cool and hip". Just goes to show that a good logo can keep your brand at the front of the pack.